Tottenham will look to put the pressure on the league leaders with a win when they take on Crystal Palace at Selhurst Park on Saturday evening. Spurs have endured a tough run of late as the Palace game will be their fifth match in just 13 days so I’m sure some players will be looking forward to the international break but Mauricio Pochettino will be asking for one last push before the two-week hiatus. The north Londoners left it late in midweek as Harry Kane scored twice to secure a vital 2-1 victory over PSV Eindhoven to keep their Champions League qualification hopes alive but the focus will be back on Premier League matters tomorrow. Tottenham head in to the weekend action sitting fourth in the table after beating Wolves 3-2 last week and they’ll look to close the gap on Manchester City to just two points with a win at Palace ahead of the leaders’ clash with Man Utd on Sunday. 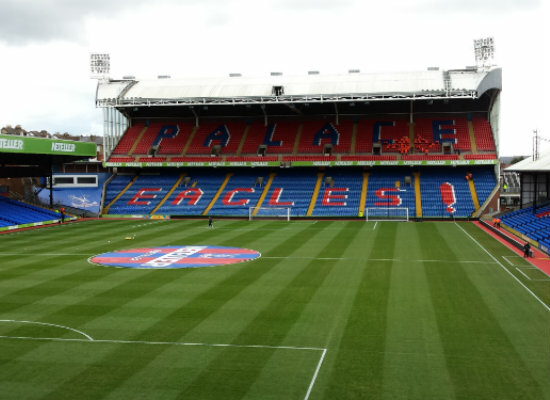 They’ll be up against a Palace side still searching for their first home win of the season but Roy Hodgson’s men will take confidence from their performance during a 2-2 draw with Arsenal last time out at Selhurst Park. Tottenham will be without Mousa Dembele after the midfielder was ruled out until the New Year with an ankle injury while Danny Rose and Jan Vertonghen remain on the sidelines with groin and hamstring issues. However, Eric Dier is available again after recovering from a minor thigh injury while Victor Wanyama is also back in contention after overcoming a niggling knee injury. Pochettino is expected to freshen things up with Hugo Lloris, Kieran Trippier and Erik Lamela among those pushing for recalls while one of Dele Alli or Christian Eriksen are likely to be rested. Palace have no fresh injury concerns but Christian Benteke continues his rehabilitation from knee surgery while Connor Wickham, Joel Ward and Scott Dann are all still sidelined. Crystal Palace 1-2 Tottenham: Spurs have a great recent record against Palace as they’ve won their last six meetings and the hosts are really struggling for form at home. Tottenham have been digging deep to grind out results lately and I think this will be another tight game but I feel Pochettino’s side will have too much quality for Palace in the end. Team pick spot on as usual.